Renowned business philosopher Jim Rohn once said, “You’re the average of the five people you spend most of your time with.” So where does that leave kids, who often spend hours each day with their smartphone? Unhappy, according to Dr. Stephanie Marcy, a psychologist and assistant professor of clinical pediatrics. Research has shown a link between smartphone use and the spike in anxiety and depression in youth, says Marcy. Receiving a negative reaction from peers in response to a public social media post can lead to a cascade of unhappiness, starting with embarrassment and ending with despair, depression, and anxiety. But often, kids can’t keep themselves from diving right back into the digital world within their device. Marcy finds that kids are spending so much time on devices that they are neglecting responsibilities and forgetting to attend to their ‘basic’ needs. 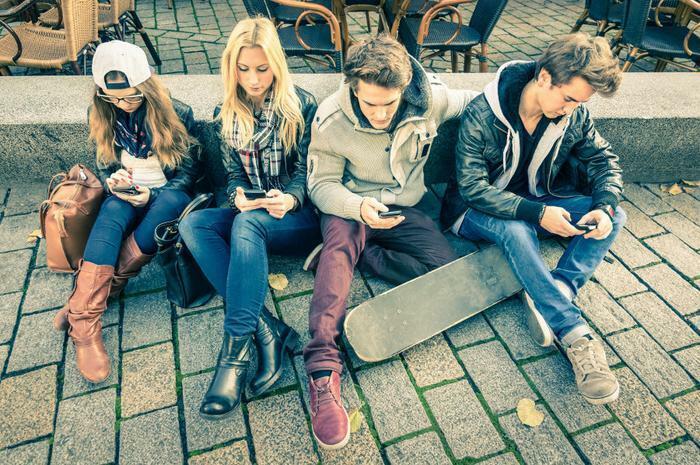 “For a strong majority of kids and adolescents, smartphones are like an addiction. It fits the mold of addiction because there is lying, cheating, stealing to get to their ‘substance’ – in this case their device,” she explained. Removing a child’s ability to access their device, whether because there’s no wi-fi or a parent takes it away, can lead to behavioral regressions and even tantrums in adolescents. To prevent this from happening, it’s important to set ground rules for device use early on. To keep your child’s smartphone use from spiraling out of control, Marcy recommends taking control and setting up the rules and limitations before your child gets their first device. Monitor their usage and making it something your child earns. Device use should be treated as a privilege not a right, she says.